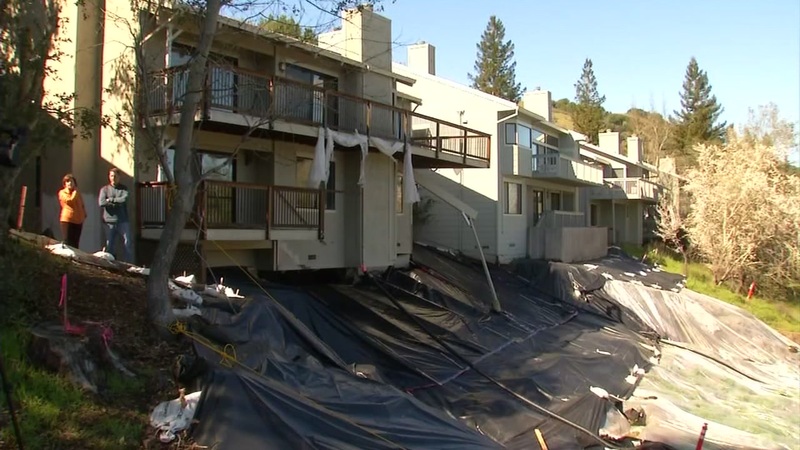 MORAGA, Calif. (KGO) -- A landslide is threatening to send at least two houses down a cliff and more could soon be at risk on Augusta Drive in Moraga. Homeowners say the hill behind their homes started sliding last Tuesday. "It looks like its deepened a little. At this point it's hard to keep track now," Tim Alford said. The back Alford's home has been seriously compromised by a slide that happened during this past weekend's heavy rains. He, his wife and three kids have been out since Friday. 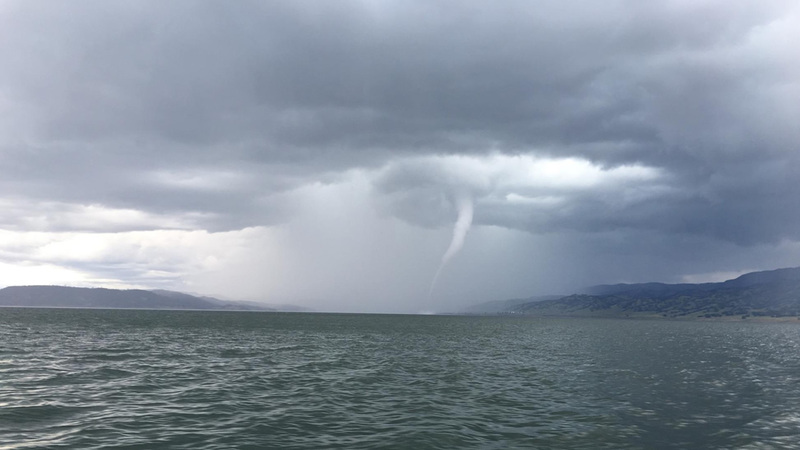 "It looks to me like the foundation pilons have come down more, but they have already fallen off anyway so it looks to me like the Earth has dropped a bit," Alford said. Dennis Martel owns a house next door. His isn't as badly damaged, but not safe to sleep in either. "You look at news reports all over the world and you see people in rowboats and on rooftops and in hurricanes, flatten homes and what not, and you think it will never happen to us and here it is happening to us," Martel said. The land directly behind the two damages homes is an EBMUD watershed. In January, there was a smaller slide that damaged the bike trail. EBMUD and East Bay Regional Parks closed the trail, but saw no threat at that time to the homes above it. "The area was assessed and at that time there was no evidence, so at that point in time we acted on the information we had. The information we had told us that the issue was here along the trail," EBMUD spokesperson Andrea Pook said. Alford told ABC7 News hw would've appreciated at least a heads up from the utility company about the January slide. "There was no initial contact directly from them about this, which now that I've gotten over the initial scramble, it's pretty infuriating," he said. EBMUD plans to shore up the hillside, but told ABC7 News it's not safe to do so until it dries out.